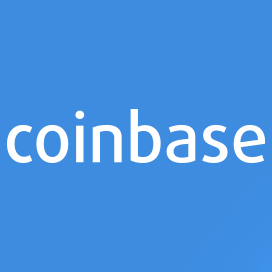 Bitcoinx » News » Coinbase Obtains E-Money License In U.K.
Coinbase Obtains E-Money License In U.K.
Posted by Steve Shanafelt at March 14, 2018 in News Comments Off on Coinbase Obtains E-Money License In U.K. In a blog post published earlier today, San Francisco-based cryptocurrency exchange and brokerage firm Coinbase announced that it has been granted an e-money license by the U.K.’s Financial Conduct Authority (FCA). The license will allow Coinbase to provide payment services (as well as some bank-like services, such as fiat account balances) in both Britain and 23 participating countries within the E.U. The license also paves the way for Coinbase to directly enter the E.U. market as a bitcoin exchange and brokerage firm. Although Coinbase has been operating in the E.U. and U.K. since 2014, the lack of a local banking license has limited its ability to hold customer funds, forcing it to be be heavily reliant on intermediaries. British residents are required to deposit funds in Euros, rather than GBP, adding third-party conversion fees and slowing the purchasing process down considerably. Given the U.K.’s looming “Brexit” from the E.U., Coinbase’s announcement couldn’t have come at a better time. While the British government has been generally supportive of blockchain innovation, U.K. residents have few government-sanctioned options for purchasing bitcoin and other cryptos. The U.K.’s native exchanges — most notably Coinfloor and CEX.io — are relatively small and low-volume, making it difficult to directly trade even common pairs like GBP/BTC or GBP/ETH. In fact, one of the most popular exchanges for U.K.-based residents is Kraken, which is also based in San Francisco. By entering directly into the U.K. banking market, Coinbase may be tapping into a long under-served demand for cryptocurrency services. The e-money license will also make it easier for both U.K. and E.U. residents to create accounts with Coinbase’s GDAX exchange, prompting would-be buyers to move away from less-regulated exchanges in Central Europe and Southeast Asia. Given that Coinbase is one of the few cryptocurrency exchanges to be granted the fairly restrictive New York State Department of Financial Services “BitLicense,” European investors may see Coinbase’s new U.K. division as one of the safest places to purchase and store cryptocurrencies.